Strongwell Corporation has announced the naming of G. David Oakley, Jr. as President and CEO of the firm. Oakley replaces John D. Tickle (68) in the position that Tickle had held since 1972. Tickle is the primary owner of Strongwell, and the Company is 100% owned by him and members of his family. John Tickle will remain involved in the business as Chairman of the Board of Directors. David Oakley (43) graduated from the University of Tennessee with Honors in 1989 earning a B.S. in Business Administration with a Major in Marketing. Oakley came to Strongwell from HAPCO Pole Products in Abingdon, Virginia where he had been President since 2007. Prior to becoming President, he had held management positions in marketing and business development and as Vice President – Product Management with HAPCO. A. Keith Liskey (66) who has served as Strongwell’s Executive Vice President & COO since 1993, and who has been an officer at Strongwell since 1981 and a Director since 1985, will retire from full-time involvement with the Company at the end of March 2011. 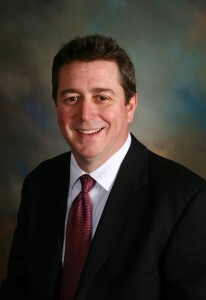 Liskey will remain active with the Company on a part-time basis as Senior Advisor through 2014. Headquartered in Bristol, Virginia, Strongwell is the world’s leading and largest pultruder of fiber reinforced polymer composites. The company has pultrusion manufacturing facilities in Bristol, VA, Washington County, VA and Chatfield, MN. Strongwell is a financially strong, privately-held company, producing products including structural shapes, grating, handrail, structural building panels, decking systems, composite armor, ladder rail, and many OEM products for its diverse customer base.